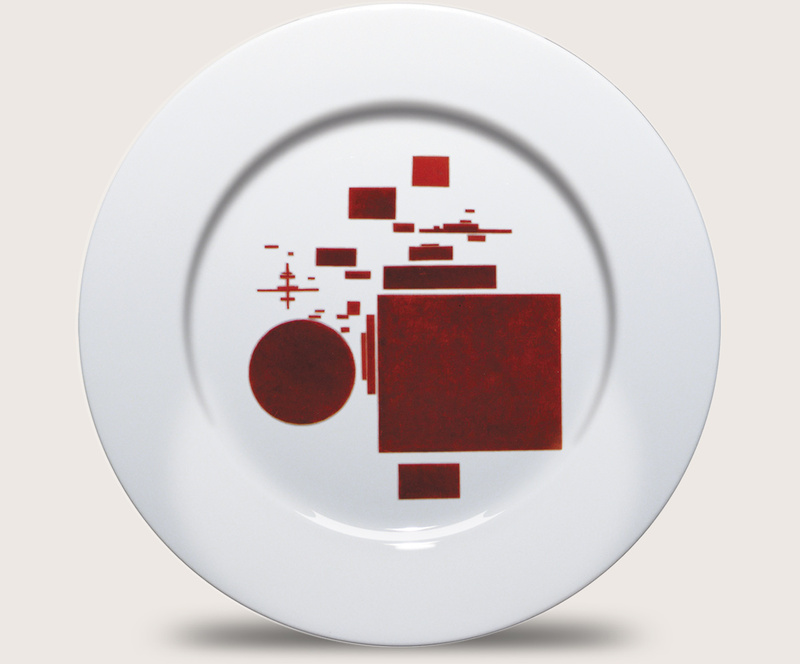 Suprematist plate design of 1922. Suprematism was an art movement focused on abstract geometric forms, such as circles, squares, lines, and rectangles, and using a limited range of colours. It was founded by Kazimir Malevich in Russia, around 1913. Suprematism refers to a art based upon "the supremacy of pure artistic feeling" rather than on visual depiction of objects. Individually numbered limited edition of 100, made in Stoke-on-Trent, England. Gift wrapping. With exclusive Philosophy Football wrapping paper and gift tag. To personalise your tag, type in the box below the message you would like us to include.